It’s no surprise that all the Hindu deities have animals as their celestial vehicles, with many of them semi-animal themselves. It shows the significance of wildlife animals in Indian culture. This reverence paid to the flora and fauna can be taken as the major reason of India becoming an enticing destination for the globetrotters in quest of startling wildlife vistas. The varied panorama and diverse environs of its wildlife sanctuaries and national parks ensure a distinct wildlife experience to the wildlife aficionados. 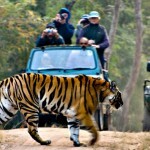 Wildlife tourism in India incorporates wildlife conservation, wildlife photography and eco-tourism. Because of its wide-ranging flora and flora, India holds an eminent place in wildlife tourism of the world. 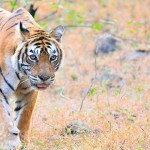 Scroll down to know more about why and how a wildlife lover can plan an unforgettable wildlife trip to India. Reasons for planning a wildlife tour to India- Yes they are many! Before going on a wildlife tour to India, one should know why this country should be chosen for a trip to experience the wilderness. India is a country widely renowned for its royal Bengal tiger, elegant elephant, wonderful peacocks, spectacular Asiatic lions, huge rhinos and many other wildlife species. The protected areas in this country proffer a natural abode to several rare and amazing wildlife species that indeed provide an ecstasy to the nature freaks. The wildlife sanctuaries and national parks that are spread all over the country tender an intriguing range of wildlife destinations. These wildlife destinations are equipped with stunning vistas that arrest the senses of the tourists. Therefore, it is smart to choose India for a wildlife tour to take refuge in the quietude and experience the liveliness of bountiful nature! It’s wise to do thorough research! Research is essential before embarking on a trip. A wildlife enthusiast going to India should have all the information about the national parks and wildlife sanctuaries of this country. India boasts of diversified flora and fauna. An immense part of Indian terrain is covered under the forested area. Some of the famous wildlife species found in these regions are tigers, apes, monkeys, crocodiles, snakes, monkeys, sambars, spotted deer, elephants, rhinos, barking deer, hog deer, cheetal, sloth bears, Nilgai, Chinkaras, and leopards. There are more than a hundred national parks and more than four hundred wildlife sanctuaries in India. The list of famous national parks and wildlife sanctuaries in India includes Jim Corbett National Park, Periyar Sanctuary, Gir Forest, Kaziranga, Kanha, Bandhavgarh, Ranthambore, Panna and Pench tiger reserve. Kaziranga National Park is known worldwide for its one-horned rhino population and Gir Wildlife Sanctuary is the only protected area that boasts of Asiatic Lions. Jim Corbett National Park is the oldest national park in India and was the first to come up under the Project Tiger initiative. 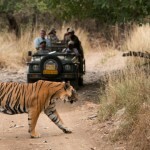 A wildlife lover can also enjoy the hypnotic sights of famous tigers in Ranthambore. Similarly, each national park in India has its own specific significance that ensnares the travelers. Let experienced hands assist you! Choosing a professional wildlife travel agent is a smart move. Wildlife travel agents can offer a better and satisfying trip, as they are familiar with the wildlife areas and the rules and regulations specific to them. Experienced travel agencies provide tempting wildlife tour package at best prices. It saves the hard-earned money of the tourists. It’s convenient, secure and time saving; in short, all that a wildlife enthusiast needs to do is to hire a professional and reliable wildlife travel agency and leave the rest on them. Keep the rucksack equipped with essentials! Traveling to India for a wildlife vacation can be highly rewarding, but do remember to pack the necessary travel gear that you may need during the tour. Make sure that jackets, boots, flashlights, etc are kept in the rucksack. It is advisable to have a camera with a good zoom quality as the wildlife is usually captured from a distance. Keep the chargers of these cameras as well. The clothes that you bring along should be comfortable. Never forget to carry a medical kit. Travelling in India and experiencing its wilderness can also have recreation value. Mentioned below are some wildlife travel tips that should be followed while exploring the wildlife in India. Animals should not be disturbed. Never try to annoy or infuriate the wilds by teasing them. Smoking is strictly prohibited inside all the sanctuaries and national parks. Try not to use flash photography. For safety, never get out of the vehicle at the time of watching wildlife. Avoid using horns, driving fast, irritating animals, campfires and drinking of alcohol. Never carry firearms; they are strictly prohibited inside the protected areas. It is advisable to carry sufficient amount of drinking water. Put on loose fitting and comfortable clothes that suit the climate of the park. Parks and sanctuaries are the pride of the nation, so one should take care of its cleanliness. While being in a vehicle, keep in mind that the animals may come from any of the sides within the park. Watch the wild animals from an appropriate distance. Disturbed wild animals may attack you. Keep calm and silence within the park area. Explore it to the maximum! Indian National Parks and wildlife sanctuaries boast of an immense range of things to explore for the wildlife buffs. Various wildlife conservation projects and unique biodiversities of these areas make them perfect spots for a vacation amid nature’s beauty. A wildlife tour to India can bring remarkably big basket full of wildlife that is native to this country. The brilliant panoramas of the landscapes are also much appreciated by the tourists. To explore this amazing flora and fauna, there are various wildlife safari organized in these national parks and sanctuaries. These wildlife safaris incorporate jeep safaris, horse safari, elephant safaris, bird safaris, and many more. 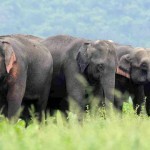 Jim Corbett Nation Park also offers canter safari, which is one of its kind. Jeep Safari is one of the best ways to explore the diverse range of flora and fauna in the region. However, to derive maximum pleasure out of jeep safari and to ensure safety, you would do well to go through the guidelines and tips about how to enjoy jeep safari in India . Know the perfect time to experience wilderness! The early part of the year is an ideal time for watching big mammals in India as the weather remains dry and the flora is not that dense, which forces animals to come out into the open in search of water and food. The climatic patter of the country varies from place to place. However, March to May is the peak time in most of the protected areas. October to February is a prime time for bird watching in India. The landscape equipped with astounding wildlife provides a perfect platform for wildlife photography. India is an ultimate destination for capturing wildlife in reels! Summers are the best time to enjoy wildlife photography in India. For knowing about best seasons for different national parks and wildlife sanctuaries, a wildlife lover can check the details of the specific national park or wildlife sanctuary. By embarking on a wildlife tour to India, a wildlife freak can get countless moments to cheer and fall in love with the pristine beauty of the wildlife and the surrounding environment. You can capture many such moments in your camera and cherish them later on in life!